Now in paperback—“The triumph of Kelle Groom’s memoir lies in her plangent, poetic prose as she lays bare the onset of her alcoholism at age fifteen, the child she bore and gave up at nineteen, and her dead-end jobs, upset parents, blackouts, hookups, and, eventually, slow and steadfast embrace of a sober, creative life” (Elle). At the age of fifteen, Kelle Groom found that alcohol allowed her to connect with people and explore intimacy in ways she’d never been able to experience before. She began drinking before class, often blacked out at bars, and fell into destructive relationships. At nineteen, already an out-of-control alcoholic, she was pregnant. Accepting the heartbreaking fact that she was incapable of taking care of her son herself, she gave him up for adoption to her aunt and uncle. They named him Tommy and took him home with them to Massachusetts. When he was nine months old, the boy was diagnosed with leukemia—but Kelle’s parents, wanting the best for her, kept her mostly in the dark about his health. When Tommy died he was only fourteen months old. Having lost him irretrievably, Kelle went into an accelerating downward spiral of self-destruction. She emerged from this free fall only when her desire to stop drinking connected her with those who helped her to get sober. In stirring, hypnotic prose, I Wore the Ocean in the Shape of a Girl explores the most painful aspects of Kelle’s addiction and loss with unflinching honesty and bold determination. Urgent and vital, exquisite and raw, her story is as much about maternal love as it is about survival, as much about acceptance as it is about forgiveness. Kelle’s longing for her son remains twenty-five years after his death. It is an ache intensified, as she lost him twice—first to adoption and then to cancer. In this inspiring portrait of redemption, Kelle charts the journey that led her to accept her addiction and grief and to learn how to live in the world. Through her family’s history and the story of her son’s cancer, Kelle traces with clarity and breathtaking grace the forces that shape a life, a death, and a literary voice. 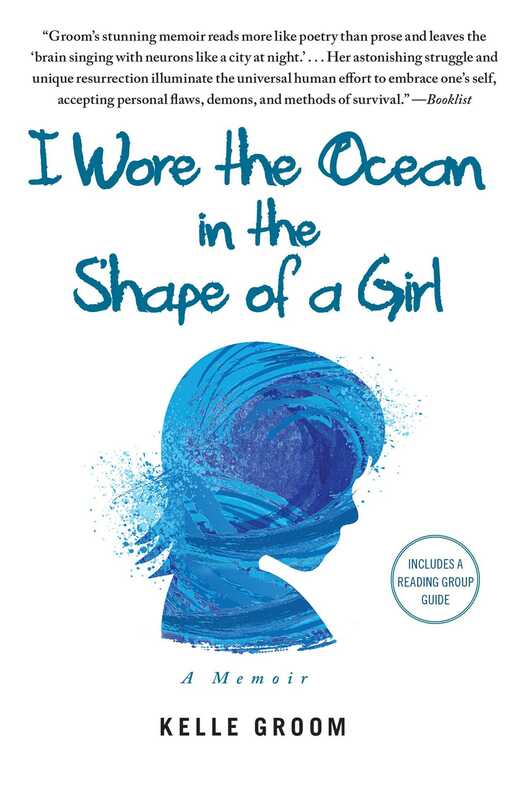 This reading group guide for I Wore the Ocean in the Shape of a Gril includes an introduction, discussion questions, ideas for enhancing your book club, and a Q&A with author Kelle Groom. The suggested questions are intended to help your reading group find new and interesting angles and topics for your discussion. We hope that these ideas will enrich your conversation and increase your enjoyment of the book. She had her first drink at age fourteen. At fifteen, she had her first alcoholic blackout. And in 1981, at the age of nineteen, Kelle Groom was an out-of-control alcoholic and pregnant. Unable to take care of the child herself, she gave up her son for adoption by her aunt and uncle. When, fourteen months later, he died of leukemia, Kelle’s downward spiral of self-destruction accelerated into a freefall from which she emerged only when when her desire to stop drinking connected her with those who helped her to get sober. Kelle charts the journey that led her to accept her addiction and grief and to learn how to live in the world. 1. The book is filled with vivid and visceral scenes, raw with emotion and sensory detail, but it is Kelle’s desire to be touched which seems to be most urgent and consistent.“Someone touching me so that I am not alone, someone choosing me,” she writes. Why do you think the touch of another person is so important to Kelle? Is this yet another addiction, or is it a deeper longing that goes beyond that? 2. Kelle fears she has somehow inherited a gene from her father's side of the family that has passed on violent tendencies and alcoholism. To what extent do you think this fatalistic attitude and misconception of hers contributed to Kelle's alcoholism and self-destruction? 3. Discuss the various men in Kelle's life. There is Danny, Tommy’s father; Jason, the military man; Bill, the bartender; and Dave. There are also men that we know even less about—like her fiancé whom she moves to New York for in 2001, but ultimately does not marry. How did these men influence Kelle? What kind of role did they play in her life and in her battle with addiction? 4. Kelle’s memoir began as a journal she kept throughout her experience. What effect does this have on her memoir and what differences might there be in the telling of the story if she had not kept a journal? 5. In El Paso Kelle remembers a flower girl dress that she wore when she was four years old. She describes the dress as touching “the floor; spilling out in waves. I wore the ocean in the shape of a girl.” She continues, writing, “It was like coming home to the ocean after those months in the desert—I felt like myself.” Describe the role of the ocean in this memoir. Is it more of a dreamscape in which Kelle escapes into from time to time? Or a reminder that life continues through it all; a constant in Kelle’s nebulous world? 6. With more than thirty-two chapters, I Wore the Ocean in the Shape of a Girl is more like a cohesive collection of memories, rather than a linear memoir. How do you think this structure shaped the story? Did you find the shifts in time easier to understand because of this format? What chapter was the most memorable to you? Why? 7. Guilt is a recurring theme throughout I Wore the Ocean in the Shape of a Girl, beginning with Kelle's desire as a babysitter to punish a child despite feeling a strong desire to be a "consoler." This guilt continues with the decision to give Tommy up for adoption and then culminates with his passing away. Do you think Kelle is too hard on herself? Is her constant guilt a result of her extreme self-awareness, or is it something more akin to paranoia? After reading Kelle’s memoir, has the meaning of this passage changed? How did you interpret its significance in relation to I Wore the Ocean in the Shape of a Girl? What connection might this passage have with Kelle’s story? 9. In the chapter Aortic Kelle finds out that she has a 50% chance of ovarian cancer. She must make a decision involving surgery, and decides that she would like to leave herself the option of having another child. Did this decision surprise you after all she had been through? Do you think Kelle would make an even better mother than most because of her traumatic past experiences? 10. During a trip to the Wood’s Hole Aquarium with Mark and Julia, Kelle sees a seal that reminds her of a wounded seal she found on the beach in Wellfleet. She begins to conflate memories of the seal with memories of holding a baby, and has an overwhelming desire to save the seal, almost as if this would be an act of redemption for being unable to help Tommy. Re-read Part 2 of Guanyin and discuss the parallels between Tommy and the seal. Do you think Kelle would have had the same instinctual maternal reaction as a nineteen-year-old, or was her thought process a sign of emotional maturity that went beyond instinct? 11. Kelle’s decision to reestablish contact with Mark and Julia to piece together her disparate memories of Tommy seems to heal a lot of her emotional wounds. It also, however, contradicted many of the misconceptions she had been carrying with her and proved that Tom-Tom was not really who she thought he was. How did you react when Kelle showed up at Mark and Julia’s unannounced and asked for a complete explanation? Was it unfair to Mark and Julia? Do you think Kelle’s emergence ultimately helped Mark and Julia deal with pain that they had suppressed as well? 12. For a brief moment, while Kelle is watching the home video of Tommy, she considers not sending a DVD copy to Julia and Mark in order to protect their feelings. She decides she must fight this feeling and resist “the arrogance of deciding what another person needs.” (p. 223) How does this acknowledgment relate to other events in Kelle’s life? Do you think Kelle has finally found some kind of peace by the end of the memoir? What have you personally learned or taken away from Kelle’s story? 1. If you enjoyed I Wore the Ocean in the Shape of a Girl, read one of Kelle’s award-winning poetry collections—Five Kingdoms (2010), the 2006 Florida Book Award winner Luckily, and Underwater City (2004). Select a poem as a group and discuss how the words sound differently when read silently and when read aloud. How does her memoir relate to her poetry? Can you identify any recurring themes or stylistic choices? 2. Go Ask Alice is perhaps the most famous addiction memoir and was an inspiration for Kelle Groom’s memoir. In your book club compare and contrast the two memoirs. In what ways are they similar, and where do they diverge? 3. Leukemia is the most common type of cancer in children ages 0 to 19 years. To get involved and to learn more, visit the National Children’s Leukemia Foundation at http://www.leukemiafoundation.org/ and the Leukemia & Lymphoma Society at www.leukemia-lymphoma.org. It seems as though this book has probably existed in some form or another in your head for a long time. Was finally getting it all down on paper an act of therapy for you, or were the events of your life something you had to come to terms with personally before you could write this memoir? I kept journals, from before my son was born, throughout my active alcoholism, and well into sobriety. Even in the journals, I wouldn’t call it therapy—I had a sense of myself as a writer. Other than a brief childhood interest in becoming an archeologist, I’d always wanted to be a writer. The journal writing often felt as if it was saving my life, not as therapeutic exercise, but as writing practice—that even in the darkest, craziest confusion, I could write. The chapter, “The Last Time I Saw Her” began as a story I wrote for an undergraduate creative writing class in 1984, a year after the events in the story. From the beginning, I knew that the only way to have an understanding, to know what had happened, would be to write it. What drives the memoir is my not having come to terms with the events of my life. It’s the hunger to know and to understand that set the book in motion. In 2006, when I put aside my journals and began writing this memoir from the beginning, I believed that the writing of it would take me to my son. That I would find him in whatever way was possible. I was also able to see my younger self as a character, with the clarity and compassion I would offer any stranger. It was crucial to the writing, and I could also feel how that care for her/my younger self and the discoveries I made were changing me as I wrote. The writing of the book also catalyzed the visit to my son’s parents. I’d been unable to make that trip for 27 years, unable to even pick up the phone. Since you have been sharing your story, have you found that others have opened up about personal experiences involving alcoholism, adoption, or the loss of a child at a young age? Yes, it’s been really great that others connect to my story and have talked and written to me about their own. While some stories are directly related to the subjects that I write about, others aren’t specific to alcoholism or adoption. People have connected to the larger themes of love and grief and loss, and the desire to really live one’s life, rather than be sucked under by passivity. In a previous interview, you mention that you spent your childhood summers on Cape Cod. The ocean recurs throughout your memoir and throughout your poetry. What is one of your earliest memories of the ocean? What is it that continually draws you back to incorporating references to the sea in your writing? My earliest memory of the ocean is on the Cape, with my family on my grandfather’s boat. He kept it in the boatyard in Bass River, South Yarmouth, and we’d take it to Great Island, in West Yarmouth. It’s a private beach, but we’d go to the very top of the island, where there weren’t any houses. I was about 4 or 5 years old. Before we’d get to the shore, I’d get out of the boat into shallow water so clear, you could see through to the bottom. The sand smooth, not rocky and seaweedy. It was a magical, peaceful, protected place. There were no other people there. Even in memory, the water and island are sparkling and calm. I could swim, stay in the water as long as I liked, only coming to shore for lunch. It felt like my own world. My family was nearby, but in the ocean, I felt independent and strong and connected to the natural world, which I now understand to be a spiritual connection too. I could pay attention in a way that I couldn’t in the company of others. Great Island was my mother’s first beach. As a girl, she’d lived across the street from the tip of the island in a house my grandparents rented. The island isn’t very wide at that point. We arrived by boat from one side; for my mom it had been a two-minute walk on the path from the other side. Though Great Island wasn’t my first encounter with the ocean—when I was younger we’d gone to a big, public beach on the road to Great Island. And before that, when I was 2 years old, my parents took me to Follins Pond in South Dennis. My mother remembered my brother and me running straight into the pond. She recalled my father’s surprise, his saying, “They’re so small not to be afraid of water.” I’ve lived in a lot of different places—there is no house to return to—but the ocean has always felt like home. It’s the place where I feel most myself and most connected to the world. In my writing, I’m trying to find out what I don’t know. In the sea, near the sea, I can get quiet enough to pay attention. In your collection of poetry, Five Kingdoms, there is a poem titled “Eviction” where you imagine losing deeply personal belongings, such as your grandmother’s books and dirt from your son’s grave. How has overcoming so much at such a young age shaped you as a person? I don’t think that I overcame the losses in my past. I saw the writing of the book as the opposite of closure, a word that seems especially empty of meaning for me. There had been this false, forced closing—a silence over the events. My son’s name not even spoken. My purpose was to open things up, to go down into the darkest places and, through writing, find out what happened there. The violence and near-death experience at 22, my coming back to life, did make me think this was my second life. That this was my extra life, and I could do anything—something I kept forgetting. But it did make me feel that I had permission to be a writer. I felt that there was a reason for me to be alive and that I shouldn’t waste my life. The poem “Eviction” was written after I’d received an eviction notice. It set the poem in motion—a fantasy in which I go to sleep in a destroyed shack on the deserted coastline where I often walked. This was just after all the hurricanes came to Florida, and the beach was strewn with hurricane debris, almost nowhere to walk, boards flying out of the waves, but the shack is a place to rest. The actual eviction notice had been very upsetting and disorienting, but it sent me into the thrilling world of the poem—the evictions all around. My life is connected to the life around me, and writing is my way toward understanding that. In talking with another writer about loss and grief, he’d said, “well, integration is the goal.” And, of course, that’s it. Being an accomplished poet, did you find it challenging to write a memoir in prose? When and how did you decide to write this memoir? I began writing when I was about seven years old, and from the start, I always wrote both poems and stories. As an undergraduate, I began to focus much more on poetry, and in graduate school, I had to choose either poetry or fiction as my primary genre. I chose poetry, but remained very interested in prose. As I’ve mentioned earlier, I can trace the memoir back to the journals I kept from 1981 into the mid 1990s. In 2001, I tried to create a memoir by using the journals themselves. But it didn’t work. The material swamped me, and I felt that the events were reduced to anecdote. There was no perspective, no reflection—just this girl at the mercy of things she didn’t know how to change. It was like watching someone drown. I put the journals and the memoir draft away. In 2006, I started to think about how to approach this again. Initially, I began it as a series of lyrical essays—personal essays. It was important for me to write the story new, from the beginning. From this place in time. As the essays accumulated, I realized that they were chapters and that I was writing a memoir. I found it thrilling to write a memoir in prose, and to approach it as I would a poem—working to create a world and stop time, to discover what can’t be said and try to find a way to say it. You have taught writing at the University of Central Florida and will be the William Randolph Hearst Foundation Fellow at the American Antiquarian Society in 2011. Do you believe teaching has made you a better writer or poet? What initially drew you to teaching? I began teaching because of a debt. I worked in a university tutoring center, and I’d borrowed money from the assistant director. My tutoring income was so tiny, it was nearly impossible to repay the debt. So, the director asked if I’d like to teach a test prep course in grammar and essay writing. The income would allow me to pay her back. I was terrified to teach, but I couldn’t turn down the offer. Driving to school to teach my first class, I remember thinking, “if I get in a car accident, I won’t have to do this.” The thing is, I loved it. Even at the beginning, even scared out of my wits, I loved that I could help students learn. The more I taught, the more my self-consciousness disappeared, and it was a remarkable freedom to be there for other people, students, to the point where I almost felt transparent. For a few years I taught English as a Second Language at an international language school on the grounds of a university. I learned to incorporate theater exercises into those classes, and it was fun, creative work. Later, I taught a great deal of composition, almost to the breaking point. I was an adjunct instructor at three different colleges and four different campuses, teaching seven courses one semester. I started at 8 AM in one city, and ended at 8 PM in another city two hours away. The car I bought at the beginning of the semester, died by semester’s end. But even in the marathon teaching, the exhaustion, it was a joy to be of use. The last class I taught was my first creative writing class. I remember an introductory talk I was giving on the essay, on what it could do. As I was speaking, I was thinking, “I can’t believe I’m talking about writing, the work that matters most to me, to people who want to hear about it.” It seemed as if the room was full of light, and I felt a kind of wealth, as though I had a surfeit of everything I needed. It wasn’t monetary of course—I was still an adjunct instructor and made $100 a week teaching that class—but it was an enormous gift. I don’t know that it made me a better writer or poet. I’m sure it made me a better person. Teaching is such creative work, but it’s a completely different kind of work from writing. To what extent do you blame Brockton for Tommy’s leukemia? You struggle with this subject throughout the course of your memoir and it seems as though there could be potential legal action. Is this story still being played out in court? For so many years, I felt that there was something wrong with this city. The anecdotal evidence came to me almost all at once, like a string of coincidences, and it seemed that it gave weight to my intuitive questioning about the health of the city and possible links to environmental illness. But when I researched the leukemia statistics for children in the city of Brockton, with the help of a public health professional, it appeared that the rates in Brockton from 1985 to 2004 were in line with the rest of the state. The city does rank in the “top 10 most extensively environmentally overburdened communities in Massachusetts (out of 362 communities),” and it “grossly exceeds” the statewide average of 166 environmental hazard points per community, with 709 points. There are 347 hazardous waste sites in the city—“an average of over 16 hazardous waste sites per square mile.” Sixteen hazardous waste sites per square mile. I learned that “exposure to industrial chemicals is also believed by scientists to be contributing to dramatic increases since the 1950s in cancers—an epidemic that kills half-a-million Americans each year.” I learned that cancer “now kills more American children that any other single disease for the first time in history.” And that rate of childhood leukemia incidence in Brockton doesn’t take into account geographic clusters of leukemia incidence in Brockton, but, I also learned that clusters are very difficult to determine. The rates of childhood leukemia incidence in Brockton were unavailable for any years earlier than 1984. My son died in 1982. The same year the Superfund site was cleaned up in his county. There is still another step in my research, to look through old DPH records at the Boston Public Library to see if any such reports on leukemia incidence exist prior to 1984. I would like to know. I’m a memoirist, an essayist, not an investigative journalist or a scientist. My job is to ask questions. When I began to have an inkling that the city’s health might have contributed to my son’s death, I worried that he’d died because I’d given him away. That I was to blame. I wanted to know who was at fault. But later, in 2000/2001 when I was directed to a survey of Brockton’s overall health and thought that I was seeing high rates of childhood leukemia in the city, I felt the weight of the years since my son had died and wondered how many other children had died since then. It now seems that I’d misread that survey, read high numbers for low, but I still felt that the very least I could do is ask for clarification from public health professionals, state the facts regarding environmental health hazards in Brockton. There is no legal action, nothing being played out in court—these are just questions I’m raising. In my memoir, beyond the health of the city and the cause(s) of my son’s leukemia, I’m also concerned with the shift from seeking to assign blame for his death to trying to accept it. You mention Go Ask Alice as a source of inspiration for your memoir. What spoke to you about the girl’s story in the book? How old were you when you first read it? It was 1975. I was fourteen and living on a military base in El Paso when I first read Go Ask Alice. I only lived there for a few months, the first semester of eighth grade. But I felt very isolated there, far from the coasts where I’d grown up. I had no sense of living in a city. Just the base and my school, a desert in the backyard. A trip across the border to Juarez where I bought a turquoise ring that lost its color, turned out to be fake. The girl in Go Ask Alice felt more real, more like a friend, than anyone I met in El Paso. Like me she kept a diary, felt isolated. I recognized what looked to me like a kind of imprisonment—as if she were jailed in her body. I was attracted to the way drugs and alcohol seemed to free her from that. I saw a place up ahead that I needed to get to. The fence that kept me from it. I had this idea of lighting out, that someday I’d light out, and climb over the fence into a spaciousness, like a prairie of the future. And my life would be there. In the town I’d lived in prior to El Paso, the older sister of my best friend had run away, and I was so excited for her. I thought she’s headed for the fence, the future. But she just came back home. The girl in Go Ask Alice seemed headed toward the same kind of future I imagined. I liked that she didn’t pretend to be okay. I loved “White Rabbit” too, the song, the idea that I could be transformed—take something and be ten feet tall. I wanted to be transformed. Of course Go Ask Alice is a cautionary tale too. Terrible things happen. She dies. What advice would you offer to those battling alcoholism and other addictions? That you are not alone. You are not alone. It helped that when I got to the point that I couldn’t drink anymore and I couldn’t not drink—when I was on that line between the two—I knew who to call. I’d been to meetings, I’d been to treatment, and I had phone numbers of people in recovery. Any time I reached out for help, someone helped me. I couldn’t get sober alone—I would have died. I needed the support of recovery meetings to get sober and to learn how to live. What is next for you as a writer? Have you thought about attempting to write fiction, or do you feel as though you have a lot more to say through memoir and poetry? I’m beginning work on a second memoir and on my fourth collection of poems. I’d like to return to fiction as well, though I feel as if it’s going to require me to make a big leap. I’m looking forward to working in all three genres. 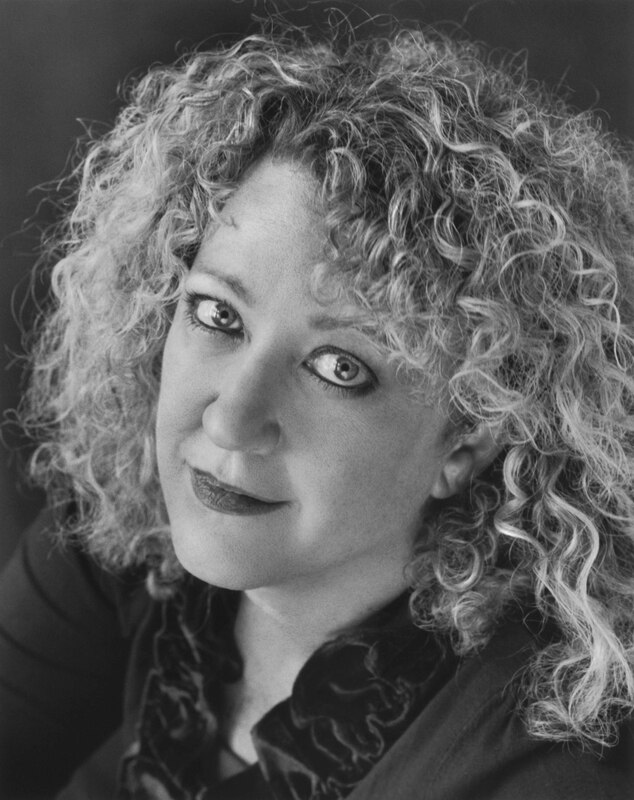 Kelle Groom is the author of three poetry collections, Five Kingdoms (Anhinga, 2010), Luckily (Anhinga, 2006), and Underwater City (University Press of Florida, 2004). She has been published in The New Yorker, Ploughshares, and Best American Poetry 2010, among others. Her work has received special mention in the Pushcart Prize and Best American Non-Required Reading anthologies.